I have to say, I think sandwiches are my favourite food group! And so I made the most epic stacked sandwich hot for food has ever concocted. The vegan oyster mushroom po’ boy is next level awesome! I created this sandwich as an ode to my favourite show, Diners, Drive In’s & Dives. It’s a traditional po’ boy sandwich made with deep fried oyster mushrooms and a simple sweet and tangy remoulade AKA mayo sauce. Guy Fieri would be proud and probably wouldn’t be able to tell this was vegan. Why? Because oyster mushrooms are magical! The biggest and most tasty vegan challenge ever is going down this week! May I present the vegan sandwich challenge to y’all. There’s nothing more perfect then biting into an awesome sandwich. Watch the competition below or keep scrolling for the full recipe and instructions to make this vegan oyster mushroom po’boy. If you’re looking for the monstrous meatball sub click here! These crispy cornmeal crusted oyster mushrooms elevate this classic comfort food! Mix together ground flax and water and set it aside to thicken for 10 minutes. Mix together nondairy milk, apple cider vinegar, vegan oyster sauce, garlic powder, basil, and white pepper. Add the flax mixture once thickened, and then pour the marinade over the pieces of oyster mushrooms in a large zipper bag ensuring they are well submerged. Refrigerate for 15 to 20 minutes. Meanwhile, mix together the breading ingredients and set aside. You can combine the sandwich sauce ingredients together in a small dish in advance, or while the mushrooms are marinating and leave in the fridge until ready to assemble. Heat oil to 365°F in a large iron skillet or heavy flat bottomed pan, or do this in a deep fryer because the mushrooms will splash oil with all their moisture! Oil should be heated up to the right temperature just as you're about to bread the oyster mushrooms. Remove a few oyster mushroom pieces from the marinade and place directly in the breading coating evenly on all sides using your hands. Place each piece into the hot oil and fry for 2 to 3 minutes, flipping half way through. Using a pair of tongs, place the fried pieces onto paper towel to absorb excess oil. Continue to bread the oyster mushrooms and fry in small batches. To prepare the sandwiches, cut rolls in half and toast lightly if desired. Spread the remoulade on either side. Layer romaine lettuce, tomato slices, pickles, then fried oyster mushrooms. Serve immediately while the oyster mushrooms are still warm and enjoy! This is a great way to replicate seafood. I have used oyster mushrooms to make delicious chowder..must try this now. I made this tonight for my daughter and it was amazing! I couldn’t find oyster mushrooms so I used baby bellas and it worked fine. I also added some old bay seasoning to the breading. Another great recipe! 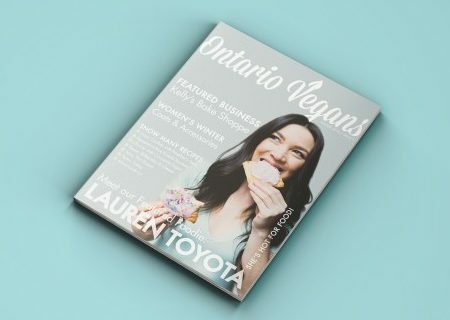 Thank you for making such good and interesting vegan food. It really does help not get into a boring routine. I cook for 1. How well does this store? Could I freeze or refrigerate somehow? What if we don’t have non-dairy milk? I wouldn’t use water as its too bland. You can use regular milk or butter milk if you’re not vegan. Is that what you mean? This was amazing. I mean, crazy good. So good, that I was freaking out a bit. I’ve never eaten a clam, but was afraid that the similarity was too strong. Had to calm myself down. Ha. Hey I’m just curious ^_^ would you recommend an Air Fryer for those who want to cut down on oils just a little 🙂 Do you think this would work? Tried there babies today and my wife and I are in love thank you!!!!! Thank you!!! Thank you!!!!! Lauren… omg. I just now made these and they are incredibly good. I don’t know how you do it haha. 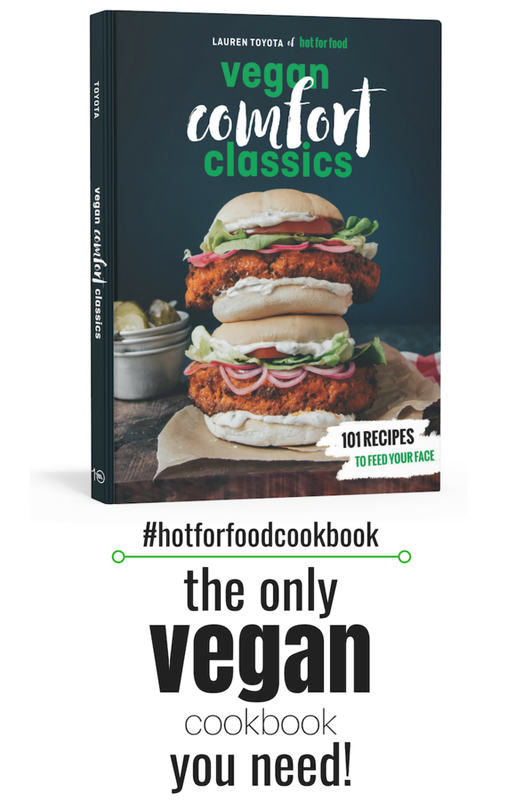 Thank you for making honestly the most innovative vegan recipes I’ve seen. Can’t wait for your cookbook! This is the perfect sandwich comforting and tasty. Fun and easy to do. Me and my boyfriend went crazy about it. Taste like even. Thanks. So I’ve made quite a few of Hot for Food’s dishes and none of them have really been a good match for me (this, of course, is in no way an insult to Lauren’s cooking, because she is a superstar in the kitchen. It’s more about my preferences.). Well this poboy is a game change. Seriously, it is unbelievable! I never had oyster mushrooms before, so I didn’t know what to expect. I ended up buying the clustered prepackaged ones, but if you can I would highly recommend buying the individual ones so you can pick out the big ones. The clusters seem like you’re getting more bang for your buck, but it’s mostly just small oysters that you won’t be able to use. Oyster mushrooms have a slight seafood taste to it that isn’t overpowering, but it gives it that perfect seafood meatiness. Honestly, if someone told me this was some type of oysters fried up I would have believe them. But the whole thing is so delicious from the marinade, to the breading, to the relish sauce. Bravo, Lauren. You really out did yourself. Lauren, thank you so much for creating this amazing recipe! It was delicious! The only issue I had was that the breading wasn’t very consistent and portions of the mushrooms were exposed. This was probably a user error because I used powdered egg replacer instead of a flax egg in the marinade. Anyhow thanks again for sharing!